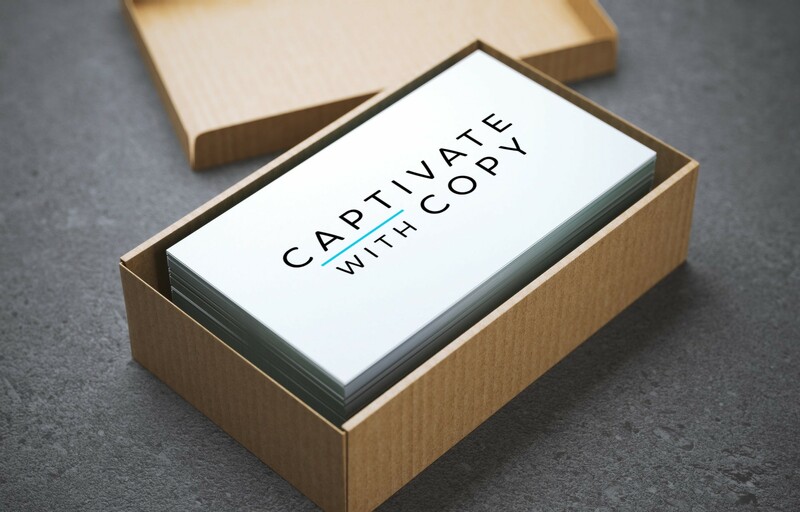 Danielle Bennicoff of Captivate With Copy had her copywriting website up and ready to go, with a bachelor’s in professional writing and experience with web copy. I worked with her to create a logo for her new business. In our initial phone conversation, Danielle mentioned she was looking for a script font for her logo, but also something simple, and she wanted any color in the logo to match the blue she was already using on her website. Her questionnaire mentioned she was looking for something refined and modern. It seemed like she was torn between two different ideas of what she wanted her logo to be. Based on her website, I thought simple and modern would be a better choice. I created 3 concepts for her – two that were more fanciful and used script fonts like she had requested, and a early iteration of the logo pictured here. She was drawn to the clean look of that logo, but needed to make sure that she wanted to go in that direction. We had a few more conversations and she shared a couple logos she liked, with a very smooth, modern look that was a much better fit for her business. 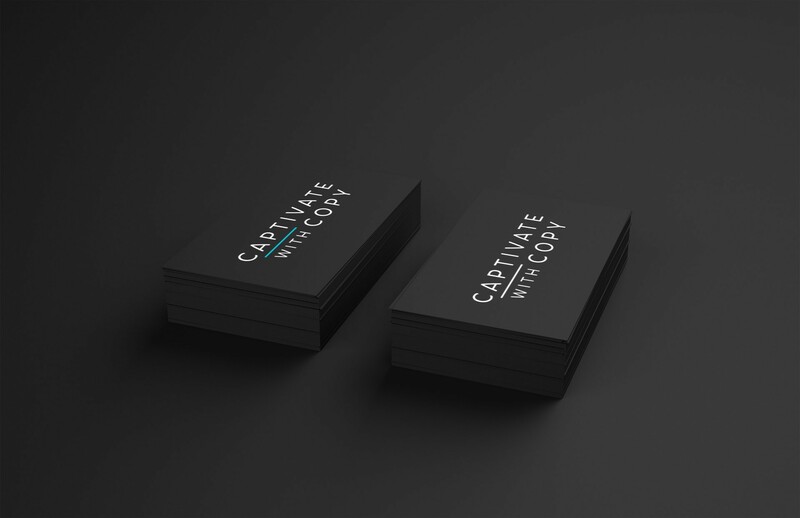 The finished logo pairs minimalism with a fun pop of color to express the excitement she wants clients to feel when they work with her! Katie was super professional, prompt, and great at creating multiple options of logo styles to help me find the “look” I was going for. She was always on top of things and very helpful with input when making changes or tweaks!